Heat the oven to broil. Wash and stem the grapes. Pat dry and put in a 9x13 baking pan. 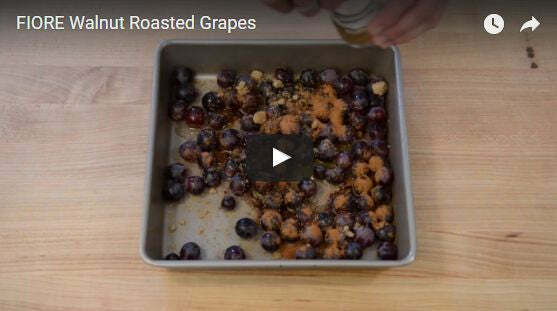 Toss the grapes with the walnut oil, brown sugar, butter olive oil, cinnamon and salt. Broil for 7 to 9 minutes, or until the grapes start popping open. Remove from the oven and stir in the roasted walnuts. Serve with whipped cream, a dollop of mascarpone, some soft goat cheese, Greek yogurt, or vanilla ice cream.